Actor, Director, Producer, Playwright and Author. The actor in Bharat Gopy, by his own submission, owed his allegiance to theatre. Theatre was his first love and he remained wedded to it even after cinema adopted him in later years. Remaining true to both screen and stage was a tough dance which not many actors in history have managed to do well. During the course of his prolific career, Bharat Gopy acted in more than 100 stage productions, authored five plays including two for children, pioneered the arena style of stagecraft in Kerala, and directed five productions, including his own ‘Rajavu, Rajyam, Rajakkanmar’, in 1974. Gopy’s mother once recollected how once as a child, he had donned the guise of the local deity Kali in a play act with his friends, leaving her petrified. The local temple rituals and theatre performances played their part in shaping the actor in him. In his early days of association with theatre, Gopy thought of himself more as a “facilitator and event manager” rather than a performer himself. Yet destiny came knocking on his doors. His first outing as a theater actor was in Jagathi NK Achari’s ‘Karakku Company’ (1952) while he was still in school, when he also used to moonlight as the editor, publisher and circulation manager of ‘Kalakusumam’, a monthly literary magazine. It was later at a college summer camp that he got on stage as Damu, his first leading role in PonkunnamVarkey’s ‘Njanoradhikapattaanu’, which also had his close friend Karamana Janardhanan Nair debuting on stage. Decades later, Karamana’s son’s onscreen debut would also be closely connected with Bharat Gopy – through his tele-film ‘MaraviyudeManam’, in 2005. Bharat Gopy’s association with theatre could be divided broadly into two phases – his early years with G Sankara Pillai’s ‘Prasadhana Little Theatre Group’ (till the mid-70′s) and with Kavalam Narayana Panikker’s ‘Thiruvarangu’ (till the mid -80′s). 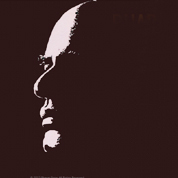 He engaged with theater as a manager, actor, director, playwright and author proving his brilliance in each department. Prasadhana Little Theater Group – The Early years. Bharat Gopy was one of the founding members of the ‘Prasadhana Little Theatre Group’ of G Sankara Pillai in 1960, which was modelled on the ‘Irish Little Theatre’ movement and drew aesthetic inspiration from Western nuances of theatre. Bharat Gopy’swas their industrious and enthusiastic stage manager who was quite content remaining backstage. It was at the behest of G Sankara Pillai, that Gopy stepped forward, albeit with much trepidation to fill in for a miniscule part, as Raghavan, in the climax of ‘Abhayarthikal’. It turned out to be the most memorable part of the entire play when it went live. Bharat Gopy has always considered the trinity of G Sankara Pillai, CN Sreekantan Nair and TR Sukumaran Nair as his acharyas in classical theatre. There were in all, 14 productions by ‘Prasadhana’ in the active decade Bharat Gopy was a part of the movement, the notable ones being ‘Abhayarthikal’, ‘Gurudakshina’, ‘Mrugathrishna’, ‘PeyPidichaLokam’, ‘BharataVakyam’, ‘Puja Muri’ – all authored by G Sankara Pillai and Beckett’s ‘Waiting for Godot’ directed by Adoor Gopalakrishnan. The Prasadhana group’s activities had petered out by the end of the 60′s and the group became almost defunct by 1971.The falling apart was a natural progression of Bharat Gopy’s growing disenchantment with the Western styles and methods of theatre adopted by G Sankara Pillai, and his desire to explore and inculcate himself with a style and form that was more rooted to the ethos and culture of his land. The search ended at Kavalam Narayana Panikker’s ‘Thiruvarangu’. An Overview of the Early Years. Debuted in December, 1962, this was the first production of Prasadhana Little Theatre Group. Bharat Gopy’s surprising debut as Raghavan, a man watching his estranged wife commit suicide. His challenge was to express the shock of watching someone die and the added disbelief that it was his estranged wife. The miniscule role had the leading theatre critic of those times, C Narayana Pillai, effusively praising this debutant in his review in Kerala Kaumudi, expressing his hope that “this actor would go on to explore and conquer dizzying heights in theatre and acting in general in the years to come”. Onstage in the August of 1963, this was the second production of ‘Prasadhana’, with a total of 8 shows. Bharat Gopy had the part of a blind man and acted alongside Madhu who played the lead. Unlike the previous two productions from ‘Prasadhana’, this one was an all-out comedy. It ran for three years from 1964 until 1966. In this production, Bharat Gopy played the role of a wandering minstrel and a half quack, peddling instant remedies and cooking up hilarious verses to sell his wares. Adoor Bhasi’s performance in the movie ‘Adyakiranangal’ released in 1964 was said to have been inspired from Gopy’s portrayal of this character. Amusingly enough, a few ill-informed at the time accused Bharat Gopy of plagiarizing Adoor Bhasi’s act from Adyakiranangal! The most memorable part of the play’s production was the performance for Mannathu Padmanbhan and the Travancore royalty at two separate instances. The Maharaja Sree Chithira Thirunal Balarama Varma and the royal family watched it at the Kowdiar Palace NatakaShala. Gopy recalls in his seminal book ‘NatakaNiyogam’ that the King couldn’t help shaking with laughter all through the performance. The fourth production of ‘Prasadhana’, ‘Puja Muri’had 3 leading characters, all by the same actor Bharat Gopy. Gopy later recalls that he was surprised and moved when his father congratulated him after having caught the play at one of the local performances, and spoke to him at length on the characters he played. This was the last production of ‘Prasadhana’, directed by Adoor Gopalakrishnan and staged at the Hassan Marikkar Hall in Thiruvanathapuram on 21 October 1973. G Sankarapillai had left ‘Prasadhana’ by this time. 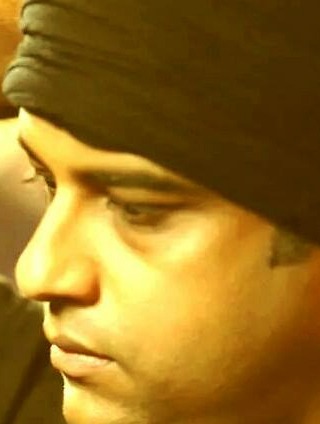 Bharat Gopy played Estragon, one of the two main characters of the legendary production. 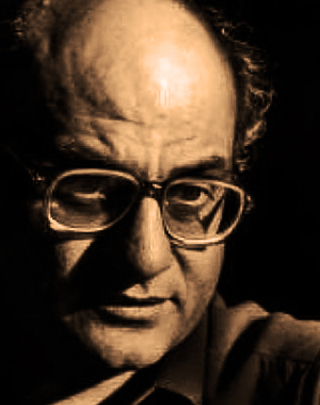 There was a phase of “middle years” as Bharat Gopy started exploring other styles of theatre that was borne out of his growing disenchantment with the Prasadhana school of thought in acting, and his desire to immerse himself in the myriad avenues of creativity that theatre offered by way of a wealth of talent in the land. By the early 70’s, Kerala’s theatre ethos had taken on a refreshingly myriad hue. These years saw whim collaborating with Karamana Janardhanan Nair’s theatre group, CN Sreekantan Nair’s productions of Lanka Lekshmi, Saketam, Kanchana Sita and Puthri amongst others. With the active involvement in Kavalam Narayana Panikker’s Thiruvarangu and his “Thanathu” ( Indigenous) theatre form of expression and performances, Bharat Gopy plunged headlong into a more rooted experience in choreography, re-disovering the roots of Kerala’s indigenous theatre forms and experimental stage productions, and sharing these in more fulfilling manner. Thiruvarangu (now Sopanam ) – The Later years. Established in 1964, the maiden production of ‘Thiruvarangu’ was the poetic drama ‘Sakshi’, written by Kavalam. 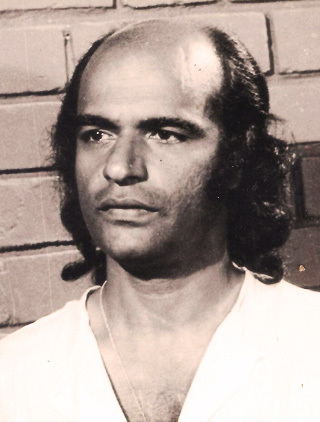 Bharat Gopy was an active part of the cast and supporting crew in their presentation of the Malayalam version of Bodhayana’s ‘Bhagavadajjukam’ in 1971. This was followed by the ‘Daivathar’, written by Kavalam himself, in 1973 and directed by Kumara Varma which explored the native elements of rhythm and movement. An Overview of his years with Thiruvarangu. Directed by Kavalam Narayana Panikker, Daivathar is the story of a man-made God. When the necessity of the creation of a Saviour is felt by the society, the right person for the godhood is sought after. The poor man who is made God ultimately becomes a victim of the social hysteria.The society never realizes the raw man who resides in their God with all his mundane needs and desires unfulfilled. They revel in their deification, while their hapless God dies in harness. Bharat Gopy was part of the ensemble cast, along with Kavalam and S Natarajan. This also marked the first instance of his on stage association withNedumudiVenu who played KalanKaniyan. It was to be a partnership that would sizzle for years to come in Thiruvarangu’s other productions and later in cinema. Directed by G Aravindan, and onstage in 1976, Bharat Gopy played Vadivelavan, now considered one of the most iconic performances in folk theatre along with Jagannathan’s portrayal of the lead Mendicant Revellers ( Attapandarams) and Nedumudi Venu’s lead Pattu Parisha ( Village Minstrels ). In this satire written by Bodhayana, Bharat Gopy played Shandilya, a hedonist running from one religious Guru to the other to satisfy his material needs. Giving him company are a ‘Vidooshaka’ (jester), a physician who is ignorant of the scienceof medicine, the ‘Yamadootha’ who cannot identify the right person whose life is to be taken and a Yogi who finds it difficult to re-enter his body after transmigration in to the body of a harlot. The translation and direction of the play was by Kavalam Narayana Panikkar. Ottayan (The Lone Tusker) explores the relationship of an actor with his society and the phenomenon of ‘play acting’ as its central themes. Directed by Kavalam Narayana Panikker, theatrical performance is projected as an intelligent device which saves the individual actor from all dangerous situations which he encounters in real life. Thirumudi by Kavalam Narayana Panikker. Apraikkan by Kavalam Narayana Panikker. Bharat Gopy’s love for theatre, his years of experience and perspectives are penned down in a book titled ‘NatakaNiyogam’, which went on to win the Best Book on Dramatics and Theatre at the Kerala State Awards for Professional Theatre for the year 2002. Nataka Niyogam, the award-winning treatise on theatre by Bharat Gopy, apart from being semi-autobiographical, is also a true reflection of the past four decades in Malayalam theatre Read More. A collection of rare photographs of Bharat Gopy’s onstage performances from his early years with Prasadhana Little Theatre Group, founded by the legendary G Sankara Pillai. Show me the album.